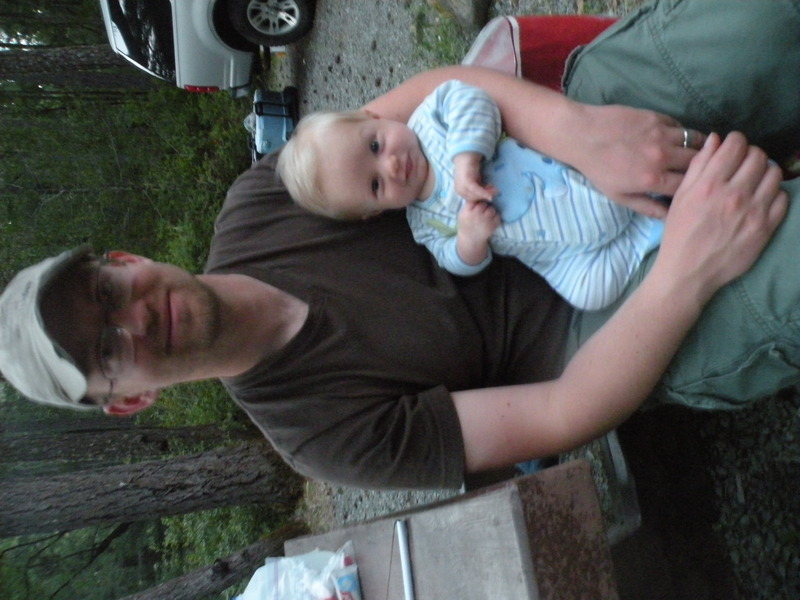 When my second son was born, just 18 months after my first son, I was not expecting to feel like I needed to sign up for anger management classes. But there I was in the kitchen, sleep deprived, with a newborn crying baby, an impatient toddler, a mess in every room of the house, discovering what “busy” meant, looked like, and felt like. I was trying to unload the dishwasher when my toddler, Job, came to assist me. The first thing he did was drop a plate on the floor. And it broke. In several jagged pieces. My beautiful cinnabar Fiestaware dish. All over the floor. That wasn’t the only thing that broke. The floodgates that were holding my weary body together also broke loose, and I lashed out at Job. “You can’t drop plates like that. You have to be careful. You broke Mommy’s dish” I screamed. Job burst into tears. His mommy hadn’t ever talked to him like that. I broke into tears, what was I doing? I hadn’t ever screamed like that at him before. But my frustration and exhaustion hadn’t finished spilling out; I scooped him up and deposited him into time-out. I was so angry I was trembling. Over the next several days and weeks I continued to lose my temper. I couldn’t seem to pull myself together. It didn’t seem to matter if I was tired or fresh, when the tiniest inconvenience occurred, I came unglued. I prayed desperately, God please help me. I can’t do this. I can’t do this. I can’t do this. Praise God, He heard my cry. One morning, through a prayer in the book “The Power of A Praying Wife,” He showed me that when I was in the thick of mothering, I needed to stop and pray. I needed to repent and turn from my unloving path. In my sane moments I began to ask God to help me to remember to stop and pray in my insane moments. I found that when things started to get tense, I needed to stop and take a deep breath before I proceeded. In that moment of taking a breath, I could hear God reminding me to stop and pray. The first time I remembered to stop and pray, I was in the car, so tired from getting up multiple times the previous night, so angry at the stop lights, and so frustrated with myself for my lack of love towards my kids. And then my toddler began to whine. I could feel my hairs beginning to stand on end. But I took a deep breath, and a prayer came out. God please forgive me for my impatience, my irritability, and my selfishness. Please instead fill me with peace, patience, and love. The fog began to lift from my mind. My pulse slowed. Calmly, reasonably, I asked Job to please change his attitude. I was not home free. Multiple times I have been tested. I don’t know if I will ever be home free. But I keep my prayer tucked away for those emergency times. Sometimes I have to pray that prayer over and over, but God always shows up, He takes my repentance and gives me a new heart and a new mind so that I can move forward in love. As I’ve joined the ranks of moms, I’ve found that there are several issues at the forefront of many moms’ minds. The issue of babies sleeping. Or rather, the lack of babies sleeping. A good night’s sleep is essential. We all know what happens to us when we don’t get good sleep. At least for me, I know that my temper becomes razor thin, my relationship with my husband gets strained, and my perspective on the world becomes blurry. If you are suffering from lack of sleep because a little one is keeping you up at night, you know all too well what I’m talking about. Thankfully, there is hope. Mommyhood doesn’t require you to be sleep deprived. 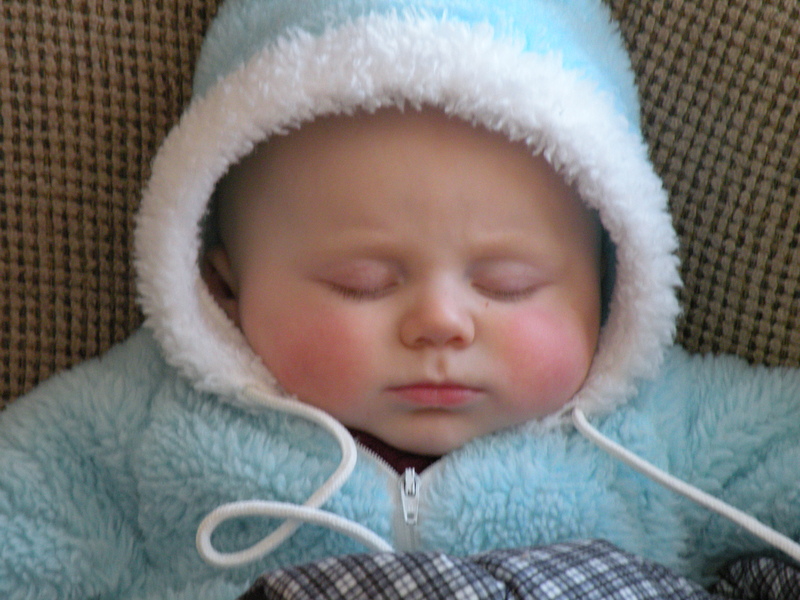 A healthy baby can learn to sleep through the night by 8 weeks old. I have a 2 year old and a 6 month old and 6 nights out of 7, I enjoy refreshing sleep. They go down at 7:30 and they don’t get up till 7 the next morning. It’s not because my boys are magically angelic in this area, it’s because I worked really hard to help them learn good sleeping habits from the very beginning, and everyday I work to maintain those good habits. But the work it takes is worth every hour of sweet sleep I enjoy at night. Everything I’ve learned about sleep training comes from a book that I wholeheartedly recommend called Good Night Sleep Tight by Kim West. If you have been friends with me for very long, I’ve probably recommended it to you (and perhaps you are rolling your eyes thinking “there she goes again!”). But I have learned so much from this book that I can’t stop recommending it. If I were to make a list of top books a mom should own, this book would probably be number one. Like I said, I’m not expert, but I do have two babies worth of practice. Since baby sleep is such a prevalent issue, I just wanted to take some time to share a few of the things I’ve learned. 1. Sleep is a learned skill. Just as we all once learned how to walk or learned how to ride a bike, so we once had to learn how to sleep properly. While sleep comes naturally, sleeping well, sleeping without sleep crutches (see below), and sleeping for extended periods of time does not come naturally and most babies need at least some sleep coaching. 2. Baby must be able to self-soothe. Many babies acquire sleep crutches. These are things that baby needs in order to fall asleep. Sleep crutches can be swings, being rocked or bounced, being nursed to sleep, a pacifier, or the vibration of a car. Sleep crutches are so easy to adopt, especially when baby won’t sleep and you are desperate for sleep. But helping baby learn to sleep without these things will pay off in dividends later on. 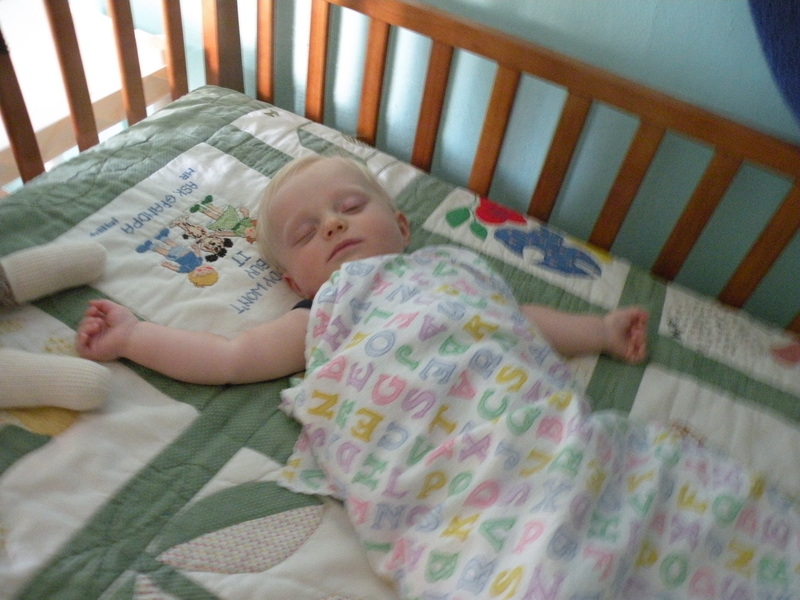 If baby can self-soothe, then he can put himself to sleep and stay asleep on his own. How do you do this? The answer isn’t simple, but typically it takes a combination of a feeding schedule, consistency, ensuring baby isn’t too tired to sleep, and allowing baby to put his self to sleep. See the next point. 3. Allow baby to learn to self-soothe. Typically this requires allowing baby to cry for a little bit when going down for nap or bed time. Allowing baby to cry can be very difficult on mom, especially when she has dire warnings from “experts” whispering in her ear. However, I wonder if these “experts” have kids and if they do, if they get any sleep at night. I have personally adopted the 15 minute rule as my happy medium between allowing my baby to cry and my own guilt for allowing baby to cry. (Note: I only use this 15 minute rule when sleep training. If it is normal wake time for baby, I definitely attend to my baby. I am not advocating ignoring a baby.) Let’s say for example it is nap time, I put baby down at the proper time for nap. I know that he has a full tummy, his diaper has just been changed, and that I’ve given him plenty of cuddles and kisses during his awake time. So when I lay baby down for a nap, and he vocalizes that he isn’t interested in nap time, I can rest at ease knowing that my baby is not in need of anything, he is just letting me know that he doesn’t want a nap. I will allow my baby is vocalize for up to 15 minutes. However, if after 15 minutes he is still crying, then I’ve found with my two babies, he is probably not going to settle himself down and it’s time to go in and check on things. 90% of the time, when I’ve been consistent about sleep training, my baby has settled himself down within the first 10 minutes. For many babies, they need to cry for a little bit before falling asleep, it’s their own way of settling themselves. This is also one cause for allowing baby to adopt a sleep crutch; mom is so worried about allowing baby to cry that she instead allows baby to use the swing, the car, nursing, etc, to get baby to sleep so there isn’t any crying. Remember that crying isn’t automatically a bad thing, babies use it to let their needs and their wants be known. A cry doesn’t necessarily mean that baby is in need of something. 4. A feeding schedule is essential to sleep training. A feeding schedule is not a difficult plan to adopt, but it can be a bit tricky to explain, so this point will probably have to be its own post somewhere down the line if people are interested (if you’d like more info on a feeding schedule, leave a comment to let me know!). Essentially a proper feeding schedule helps a newborn baby learn to sort their days from nights and also helps mom better determine why baby is crying. 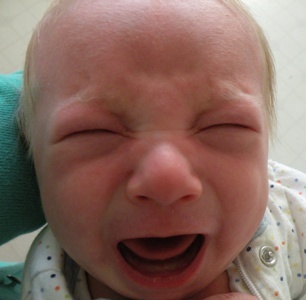 Just because baby cries doesn’t necessarily mean he is hungry. If baby is on a feeding schedule, mom can stop and say “ok, he just took in a full meal 45 minutes ago, so he must need something else (such as a cuddle, a diaper change, a change of scenery etc)”. 5. Skip co-sleeping. I know this is a touchy issue, and I don’t want to step on any toes. 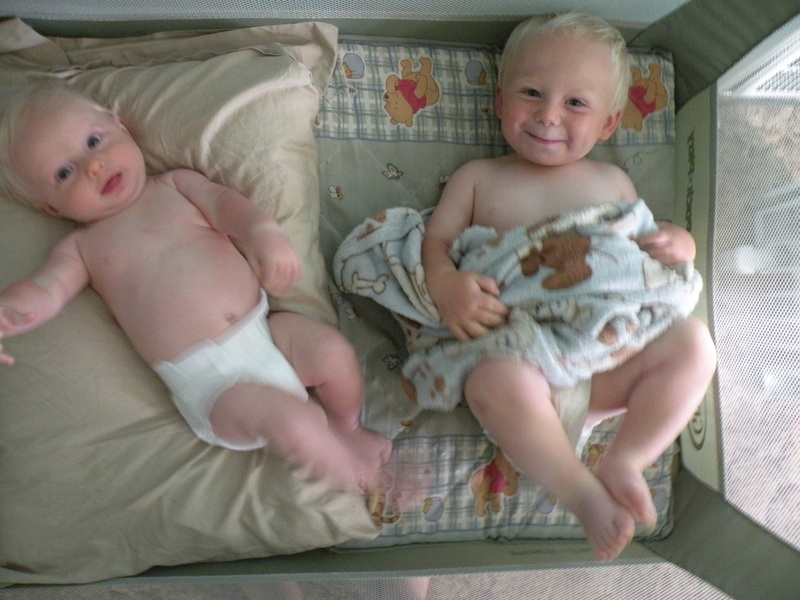 However, if you want baby to learn to sleep well during the day and at night, you will have to give up co-sleeping. When you co-sleep, you become a sleep crutch for baby, and if you aren’t there, baby can’t sleep. Additionally, if baby does sleep, but wakes up in the night, then you wake up too and probably your first impulse is to do whatever it takes to get baby back to sleep, and fast, so you too can get back to sleep. This also doesn’t allow for baby to learn healthy sleep habits. 6. Finally sleep training requires consistency! Sleep training takes a lot of work. It requires clearing schedules, scheduling around naps and bed time, and carefully watching the clock. It’s not always fun to have to turn down an engagement or hurry home from the store because you know it’s baby’s nap time. But without a consistent schedule, baby will not learn to sleep well. Consistency is also critical when you are trying to teach baby to self soothe. You can’t allow baby to cry themselves to sleep one night, and then nurse baby to sleep the next night. You aren’t teaching baby anything if you intermittently allow sleep crutches. These 6 points are just a brief overview on some of the biggest roadblocks for baby to learn how to sleep well. Sleep training is a little tricky though, and you could be doing all six of these points and baby is still having issues with learning healthy sleep. However, in that case, probably the problem is something that requires some minute tweaking. If you have any questions, please feel free to leave your question in the comments section, and I’ll do my best to answer the question! Or, get a copy of Good Night Sleep Tight and follow it very carefully. If you do that, I can almost guarantee that a good night’s sleep is in your very near future. As I go through my day, I find myself thinking in Facebook and blog posts. I’ll do an art project with Job and find myself summarizing the disaster in a one line Facebook post. Or I’ll be washing dishes and find myself thinking out a blog post “The best method I’ve learned about keeping a clean kitchen is to…”. I really thought that my problem was 1) I was too addicted to Facebook and 2) I was too full of myself, always thinking of things to tell people in my blog. That was how I felt until I met another woman who has the same blog posting and Facebook statusing running through her head. But instead of confessing her obsession as an issue that needed therapy, she pointed out that she does this because she is a writer. As this truth sunk in, relief flooded my mind. I am constantly thinking in terms of translating experiences into written words because I too am a writer. I know that I may not be the best writer out there, but I do know that God has given me a talent for communicating through letters typed out on my keyboard and then arranged into words on my computer screen. 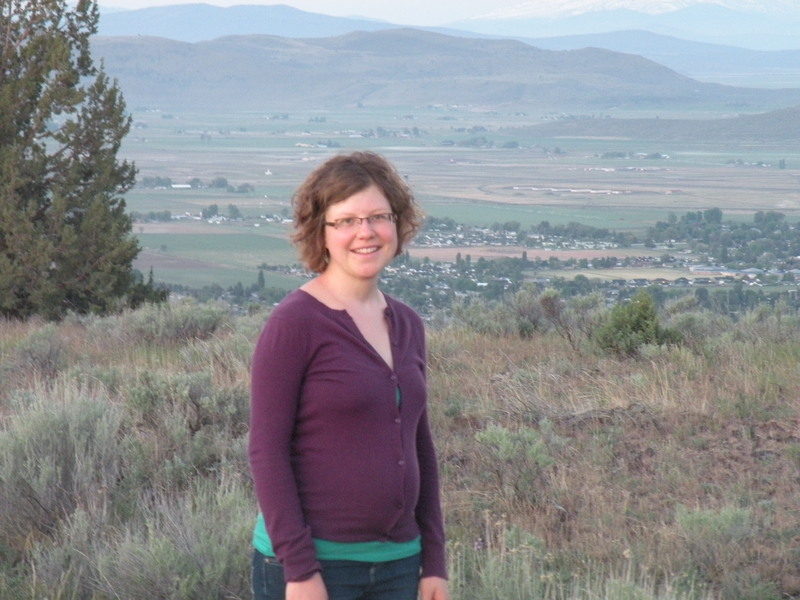 For several months I’ve struggled with what to do with my blog. I really enjoy writing and sharing things that I’ve learned. But there are so many blogs out in cyber space already, that I felt silly sharing my corner of the world. Anything that I have to say, has probably already been said on three other blogs somewhere else. “Why bother”, I’ve thought to myself. And now I know why to bother. Because I have a need to write. Words endlessly fill my mind throughout the day. Anything I experience in 24 hours, whether it be folding laundry, doing my quiet time, or talking to my husband, gets translated into either a blog post or a Facebook post in my head. It’s not because I’m addicted, its because I have a talent. This is how God has wired my brain. Just writing this all out is a relief. I feel the pressure in my mind easing as I let the words out onto this virtual paper. And I have made a decision regarding my blog. While I would love to have an audience following my blog, I realize that I have quite a bit of competition in the blogging world. But ultimately it doesn’t matter if people read my posts or not. What matters is that I can express my God-given talent. And if people read my writing, that is the icing on the cake. So my decision is that I’m going to write. Whatever, whenever, wherever-in my bed, in my head, or while playing ball down the hall. I am truly excited. Before, I was blogging because I liked it, but honestly I felt kind of dumb posting my thoughts. Now I am writing because I am passionate about writing. If you read along with me, then bless you, bless you, bless you for taking the time to read my thoughts. And if no one reads me, then praise God for the opportunity to write and express. Blogging world, whether you ever know about me or not, here I come! 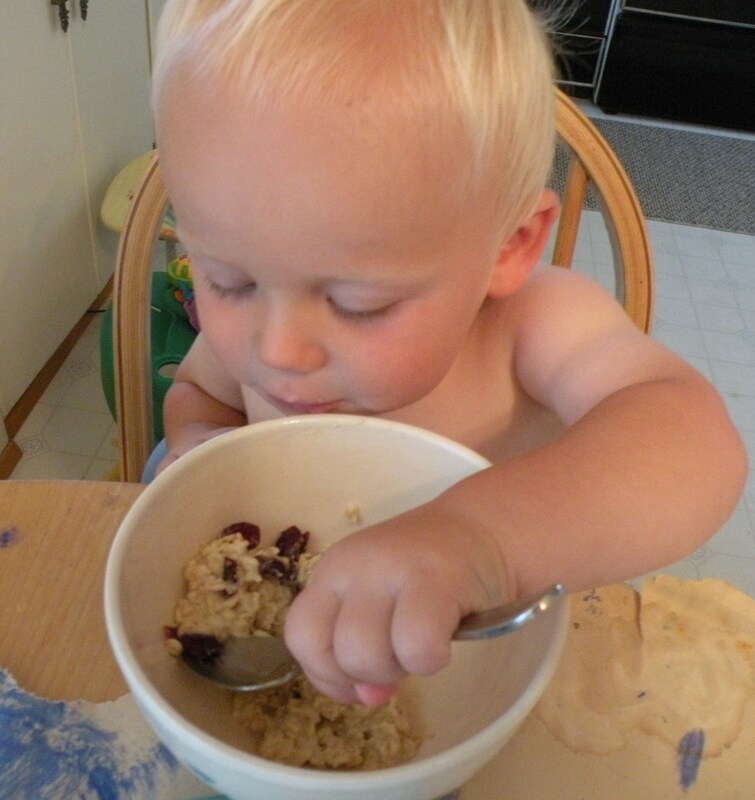 Growing up, the world’s worst breakfast was oatmeal. Once a week my mom served up oatmeal. The texture, the taste, the smell, ewww, really there was nothing I could like about oatmeal. Thankfully my mom let us mix in yogurt and dried fruit into the mush, which was the only way I could swallow it. Even to this day I can’t abide oatmeal. Some foods you grow into, and other foods just land permanently on the “Do Not Eat. Ever. Unless You Are Dying” list. Oatmeal was and has been at the top of that list. I found this recipe flipping through Martha Stewart Living, and I don’t know why or how considering my past with oatmeal, but this recipe called to me. Martha Stewart had a fancy name for it, I’ll just call it “Cold Oatmeal” because I’m original like that. (all of these ingredients are give or take. I’m never very precise when it comes to measurements unless it’s chocolate chip cookies. If you want more honey, add more honey, if you want less oatmeal and more yogurt, well then, it’s your life, you take control of your own oatmeal). Mix the oatmeal with the yogurt, milk, vanilla, and salt and place in the refrigerator over night. The oatmeal undergoes a process called “soaking” where the bacteria in the yogurt breaks down the oatmeal and does good things that I’m not exactly sure what right now but you can read all about it here. Essentially soaking makes it easier for the body to absorb the nutrients in things like grains, nuts, and beans. For this recipe, though, the other reason behind soaking the oatmeal is that this is how the oatmeal is softened so that you can eat it because there is no cooking involved in this recipe. Just mixing, eating, and enjoying. Then, the next morning simply mix in the honey and orange juice, and voila, breakfast is served! 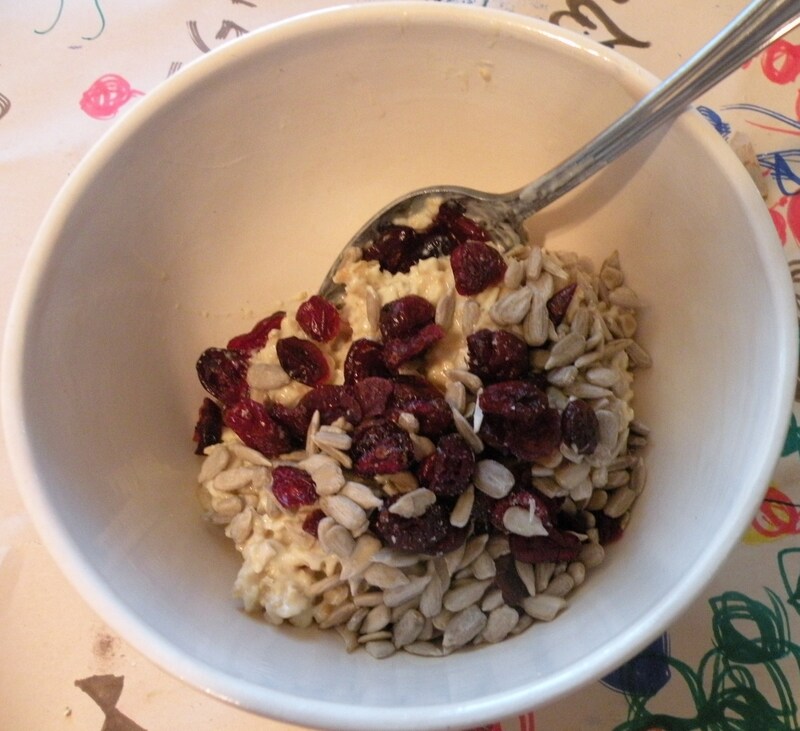 You can eat the oatmeal just like this, or add nuts and dried fruits or fresh fruits to dress it up a bit. Really, the oatmeal is just kind of a blank canvas and the sky is the limit. I just know that it’s good. And easy. I think I like it twice as much just because it’s easy. And cheap. So now I like it four times as much because it’s easy and cheap. 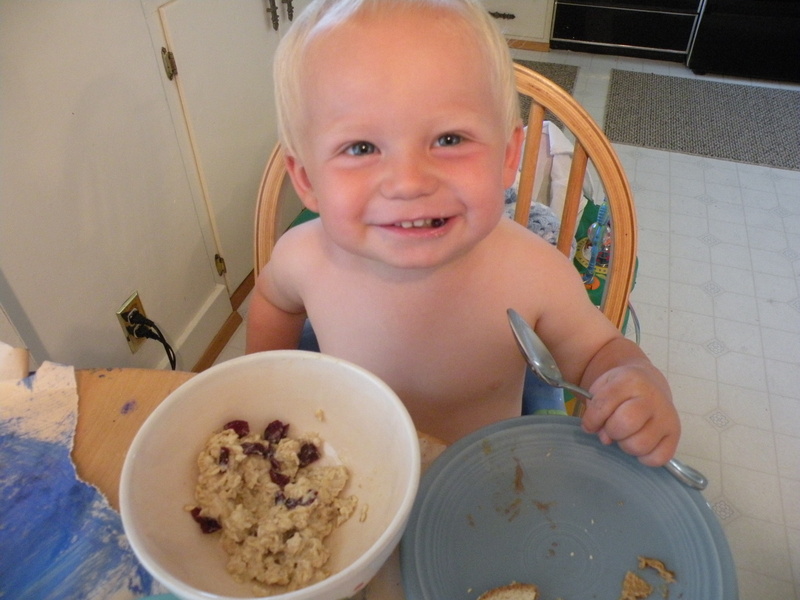 I mixed dried cranberries and sunflower seeds into out cold oatmeal this morning. The other reason I like this better is because the oatmeal is not so gooey and soupy and gross and nasty from being cooked. Yuck, I’m making faces right now just thinking about cooked oatmeal. But this “cold oatmeal,” well, its still got a bit of a crunch to it, it tastes fresh, it feels refreshing, it’s just about perfect. There are two things that Job has exceeding dislike for: 1) getting his diaper changed and 2) having his face washed. On Sunday morning, as we got ready for church, I was trying to dress him, change his diaper, and wash his face, and he was not enjoying the run down. As he squirmed, whined and wiggled, my patience evaporated. As he stood in the middle of his room pushing me and the washrag away, I snapped at him, “Job, why does the simplest thing have to be SUCH an ordeal?” I walked away, leaving him to softly cry in his room, partly because he’d just been attacked by a washcloth, and partly because his mommy had just snapped at him. I was ashamed, though sadly, not ashamed enough to apologize to him, just hand him his blankie and hustle him out the door and into the car. The past week had been long, and I was struggling to hang onto my shreds of patience and love. Later in the day, Brandon let me escape out of the house and to the park. I sat beneath the blue sky studded with pillowy clouds. The sun warmed my back and sunburned my neck. I felt such relief to be away from my two year old’s antics. As I sat there enjoying the fresh air and quiet, God reminded me that my life isn’t about myself, it’s about loving those in my life. I closed my eyes. It is so hard. God also reminded me of a prayer I had begun to pray right after Peter was born, but had forgotten lately. “God, forgive me for my impatience, selfishness, and irritability. Please replace it with patience, love, and peace.” How easy it is to sink into speaking to my kids in anger. How easy it is to allow my annoyance from the day brim over and pour onto Brandon when he gets home from work. How easy it is to let my selfishness permeate my being so that I begin to think that everyone is dumb, and everyone is out to frustrate me. Yesterday at the park, in the stillness of the summer air, God’s truth convicted me, that I am not justified in the annoyance and frustration that arises in me when things don’t go my way. This prayer…God forgive me… resets me and helps me to regain control, it reminds me of the qualities that God has called me to exude to my family and to those in my life. Being a mom is hard. Being at home all day with my kids is hard. Doing it with love, patience, and peace is harder. But not impossible. I’m thankful for the ability to pray, to cast all my anxieties upon Him, and I’m thankful that God hears and answers prayer. Hurray! After being away from my blog for about three months, I finally made it back. I just wanted to share what has been going on in our home for the past three months. 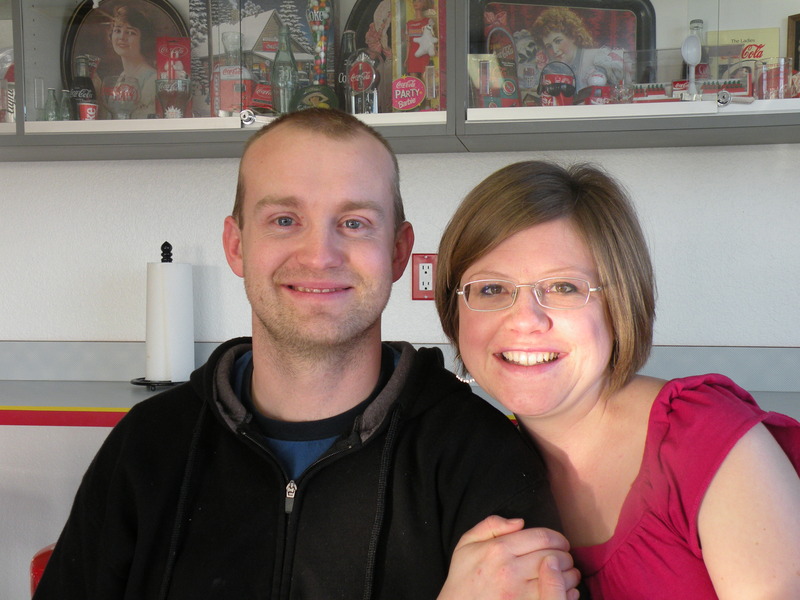 You all probably know that we had a baby boy on March 21st! Peter was due on March 17th, and as the days passed, I was getting more and more anxious to have this baby! On March 20th, Brandon suggested we get spicy food for dinner, so we went to a local Indian restaurant. That night my water broke! Labor and delivery went really smoothly, praise God. Thank you everyone for all your prayers. 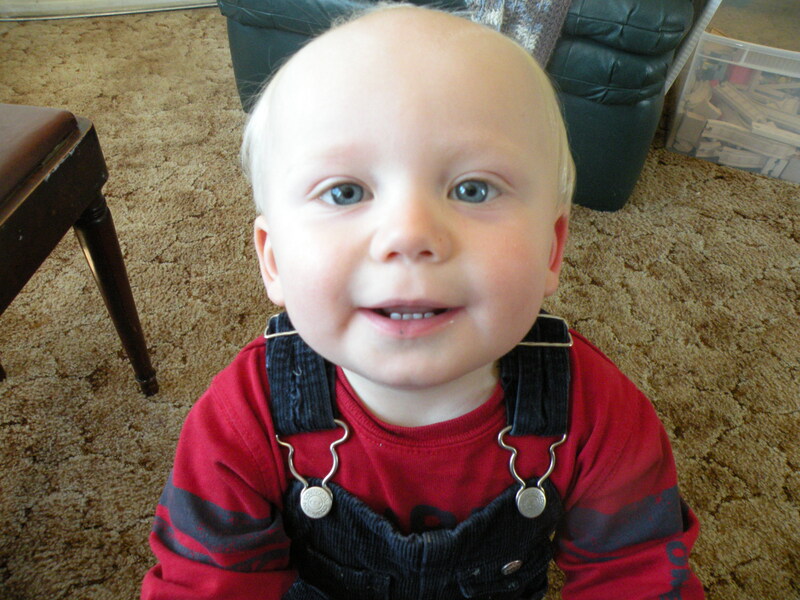 Now, three months later, Peter loves to smile when we smile at him, and he loves to “sing” to us from his little bouncy seat or in his bed. Sometimes he even sings himself to sleep (rest assured, I don’t have the perfect baby, usually he cries himself to sleep). Peter is fussier than Job was, which has been a big struggle for me as I’m not that good at soothing him, and I get frustrated pretty fast. I am looking forward to this month especially because at three months babies seem to start showing more life and personality! 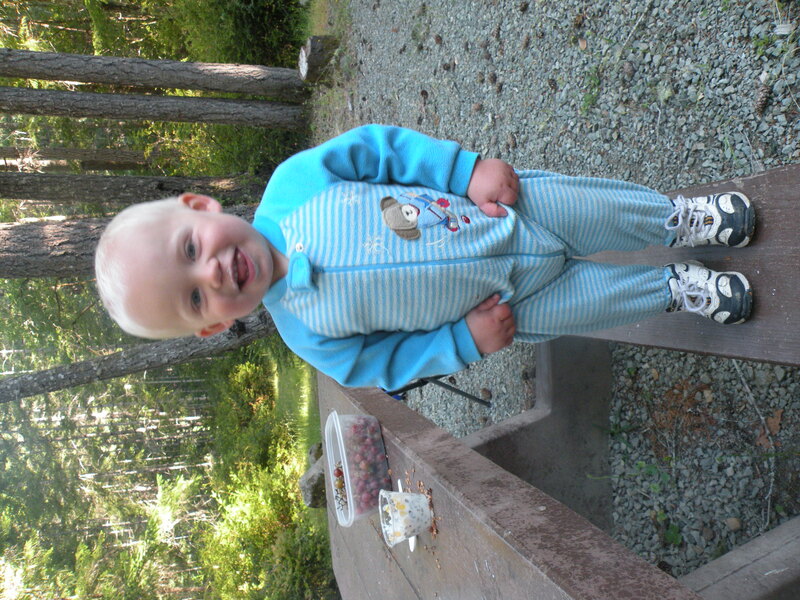 Peter is pretty tough, though, as his big brother has already tried to feed him peanut butter and Chex cereal as well as share his sippy cup with him. I’ve also caught Job just as he was about to tackle Peter for a brotherly wrestling match. Peter is already outgrowing Job. He hasn’t been to the doctor in a while, but he is already in size two diapers and I’m guessing he is about 13 pounds, whereas Job was just 15 pounds at his six month doctor’s appointment! Job is almost two and growing horizontally. 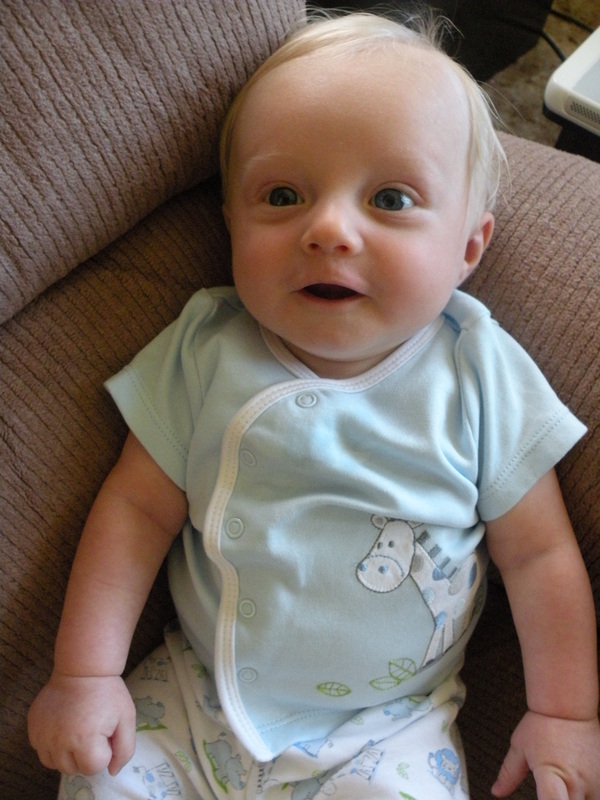 At his last checkup, he was in “less than the 5%” for height and in almost the 60% for weight. He’s going to be a line backer (I think that is the proper football position…this momma still has a lot to learn about “guy stuff”)! Brandon finished his second year of college two weeks ago and started his job at the BLM. So far all he has been doing is training videos, some of which sound like they are pretty painful. Like they had to watch a video where the actor just read the power point slides. But he figures he is getting paid for it, so he won’t complain too much! His training should be over at the end of this week and then he can start doing some more interesting work. He is working with the water division of the BLM. There is a fancy word for it, but I can’t think of it at the moment. I’m doing (mostly) well. Peter has slept through the night for five nights in a row now, so I’m really hoping we rounded a corner. Up until last week I was just barely holding it together, I was so tired from being up mutliple times in the night, and naps during the day only seemed to help a little bit. I have been learning a ton in the last few months, more than I ever thought I would learn from introducing one little baby into our home…. Hopefully I will be able to share some of what I’ve learned in the coming weeks. One thing that I’ve learned is to let go of my agenda, because some days it’s safer for everyone if I just sit on the floor and play with Job while holding Peter, so that’s why I say “hopefully”. On a sunrise hike date with Brandon-Brandon’s family was at our home watching our kids for us! We are all a little sad (Peter and Job are sad even if they don’t realize it;-) that we aren’t able to come out to Colorado this summer. You may have noticed my Facebook post that we are freezing up here in Oregon, today when I checked the weather at 10:30, it was only 47 degrees out. So if any of you need to escape the heat, you can come visit us! Well that is a brief summary of our family, thanks so much for reading! Hope to see you all next week. 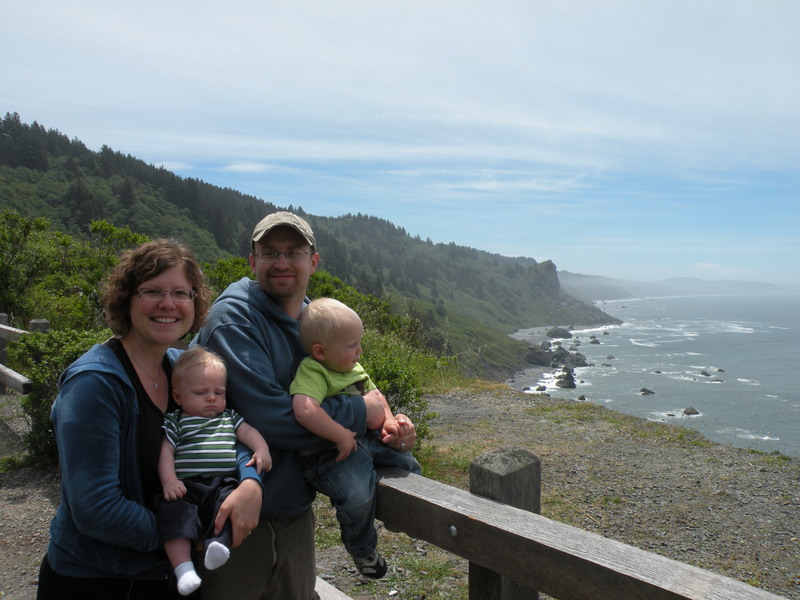 On a mini vacation to the Redwoods two weeks ago. You probably already know that I’m pregnant and very close to delivering! My due date is the 17th, so any day now. I have so many mixed emotions, like looking forward to the fact that Job will have a playmate, but dreading running errands with two little ones. I struggle with thinking about how much more of my time will be consumed with taking care of little ones, but also being convicted that my life is not about me, it’s about serving others to the glory of God. This past week, I’ve had a lot of thoughts about mothering going through my head, but one particular thought rings out above the rest, what am I doing with my life? This thought has been prompted by the tragic death of two people in the past week. The first was Jeremiah Small, the teacher I served with in N. Iraq, who was shot to death on March 1st. I only worked with him for a short time, but in that time I saw how purposefully and intentionally he lived every minute of his life, from teaching to casual conversations. The second death was the baby of some friends in Colorado. 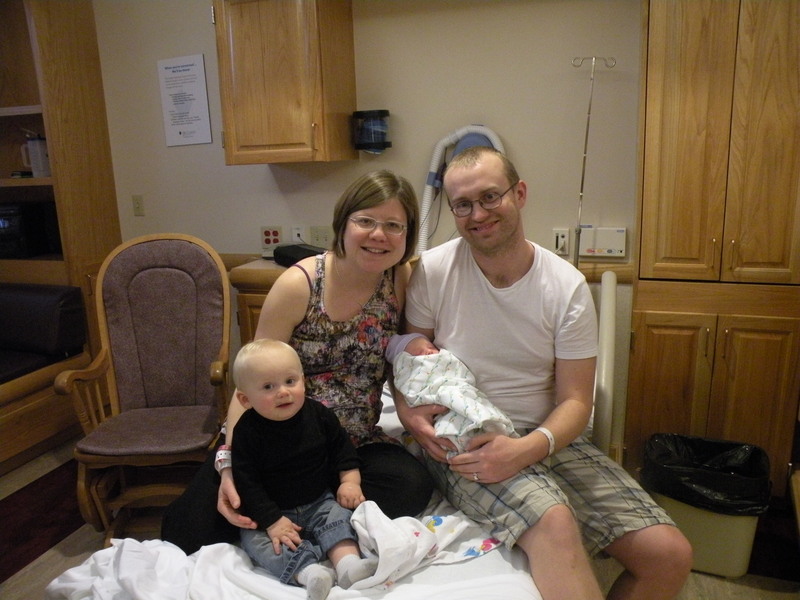 After a completely normal pregnancy, their baby was still born. One human being left this earth before his life outside the womb even began, the second life left his earth only part way through a “normal” life span. I am reminded of the fragility of life. This makes me stop and consider my daily actions. What if I was to die tomorrow? This is a cliche question that we stop and consider whenever a tragedy happens. But a few weeks or months later, the questions fades from our minds, and we go on with our lives. I think with the two deaths last week, I have been convicted to not let this question just fade from my mind, but to make some real changes. I’m not really sure what this looks like. But perhaps that is a good thing, because then hopefully this question will remain on my mind for some time as I consider what changes I need to make in my life to live purposefully and intentionally. I think of a quote by Martin Luther. He was asked what he would do if Jesus was to come back tomorrow. Luther answered “I’d plant a tree,” meaning that he was living his life the way he ought to, he didn’t feel like he needed to dash around and make some serious changes. I find that this quote is very applicable to life, especially right now as I consider what it looks like for me to live purposefully and intentionally. The other thought that has been in my mind a lot lately is thinking about my mission as a mother. I find that it is so easy for me to get caught up in my to-do list, to get caught up in my plans for the day. I’d like to go shopping. I’d like to sew a quilt (uninterrupted). I’d like to take myself out for a cup of coffee and do a whole lot of pinning to Pinterest. This is my agenda for the day! Then, when I get focused on my agenda, I get annoyed when Job gets tired of playing by himself or when he wants my attention, which increases my frustration that 1) I can’t have my own agenda for the day and 2) when I try to complete my agenda, I just get interrupted. I have to remember why I am a stay-at-home-mom. Am I doing it to serve myself or to serve my family. Hmmm… On the outside I am doing it to serve my family, in my heart, well, I kind of tend to get torn between the two. I really want to serve my family, but I really want to spend the day on myself. Of course, there is a balance, I don’t believe that every moment of my day should be devoted to entertaining Job (and soon to be second baby). But I must consider where my heart is. Too often my heart is focused on myself and my agenda, rather than considering what God is calling me to do. It is such a struggle though, to not eagerly look forward to nap time so that I can have my own alone time. Part of this, I think is being 39 weeks pregnant and not feeling especially motivated anyway. But mostly this is just sin nature. Right now, nothing sounds better than having a get-away weekend with my husband. Maybe a get-away week, or even a get-away month. I am tired of dealing with dirty dishes and clutter. I want an exciting change in my life. But probably what I actually need is an attitude change. I need a heart change. Brandon and I did get to go on a date night last week, so blessed by people in our lives who are willing to watch Job for us while we escape! This along with the events of last week has been making me consider that perhaps an overall vision for my life as a mom/wife/woman is in order. A vision that inspires me to keep going when I get to the end of my patience (which happens far too quickly), and something that keeps me accountable to being purposefully and intentional in my actions. Again, I don’t really know what that looks like, but it’s something I’ve been thinking a lot about. Do you have a vision statement for you life that you’d be willing to share? If so, I’d really love to hear it as I consider what my vision statement should look like!